Image from “Diagnosed with Alzheimers or another dementia”, by Kate Swaffer and Lee-Fow Low, New Holland Publishers, p 15. Currently, not one country that we know of provides disability assessment, support and services to people diagnosed with dementia, in spiteof our human right to this support. The following is the medical definition of dementia. However, there are other ways to consider dementia, which we also describe briefly below. 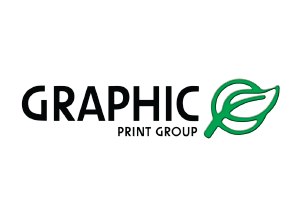 Definition 1: Dementia is an umbrella term or a collective name for progressive degenerative brain syndromes which affect memory, thinking, behaviour and emotion, which affects a person’s ability to perform normal daily activities. 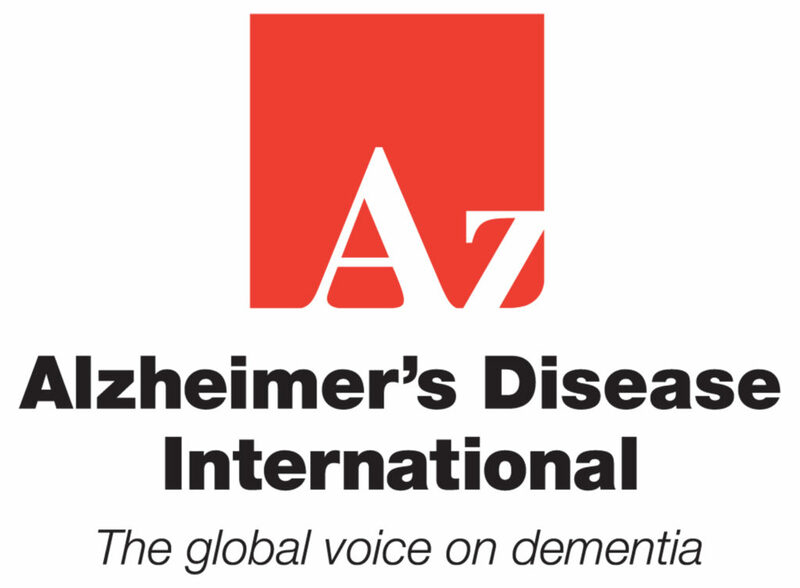 Alzheimer’s disease is the most common type of dementia. It is clear there are many other ways to see a person with dementia. Symptoms of dementia almost always include much more than momory changes such as difficulty in finding the right words or understanding what people are saying, difficulty in performing previously routine tasks, and personality and mood changes. 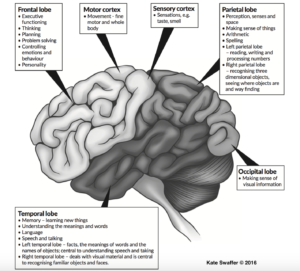 The following graphic outlines the numerous cognitive changes and disabilities caused by the different areas of the changes in a particular part of the brain. 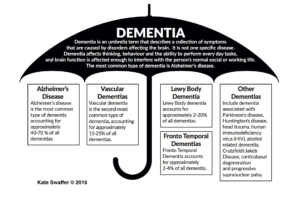 Image from “Diagnosed with Alzheimers or another dementia”, by Kate Swaffer and Lee-Fow Low, New Holland Publishers, p 17. Dementia occurs primarily in people who are over the age of 65, or in those with an injury or disease that affects brain function. While dementia is most commonly seen in the elderly. It is not a normal part of the aging process. 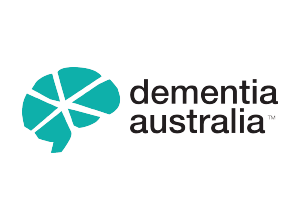 Dementia over the age of 65 is known as older onset dementia and under the age of 65 as younger onset dementia (YOD) All age groups go through the early stage of dementia. With a few exceptions, it is a terminal illness; please speak to your health care professional or physician to discuss this further. While there is no cure for Alzheimer’s disease or for most other causes of dementia at present, many of the problems associated with dementia such as restlessness and depression can be treated. It may also be possible, especially in the early stages of dementia, to improve someone’s memory with medication. There is however, a loit of new evidence on risk reduction, as well as the possibility of reversing or slowing down the progression of dementia, which you can read more about on our Brain Health Hub. The following links will lead you to more detailed information, and to support in your own country. I CAN I WILL An ‘Ideas Library’ for PWD, their cares, Professionals, Associations and others.